I am as giddy as a school girl. I have come to the conclusion that I definitely have a fabric addiction and the true way to my heart is fabric! Look what I stumbled upon while shopping on Etsy. I found these at claydeal. 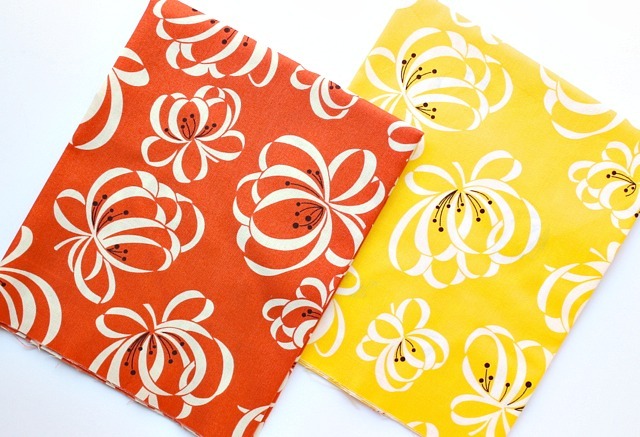 She has a great selection and a lot of fabrics from Denyse Schmidt's Katie Jump Rope collection, which is out of print. I wish they would just rerelease it like Flea Market Fancy. I am absolutely in love with this ribbon flower fabric and missed the boat when it was released. I have been itching to get my hands on some and this was my opportunity. Don't you just wish they would rerelease it! Did I say that already? 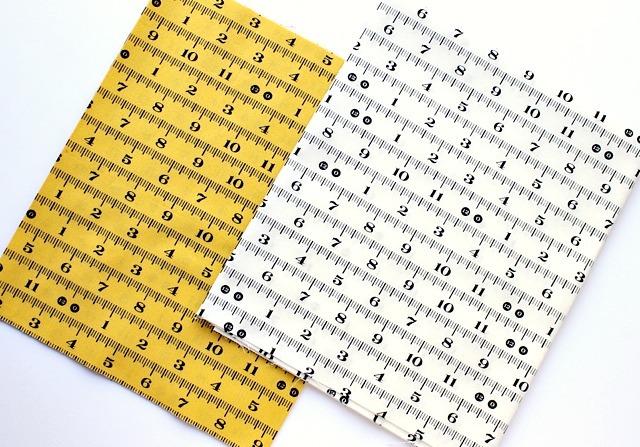 This measuring tape fabric is another set that is out of print and I have been on the lookout for. I love fabric that has to do with sewing or has sewing notions on it. On a side note, I have to say that I was so impressed by claydeal! The order was processed so fast and I could not believe how quickly I received the fabric. 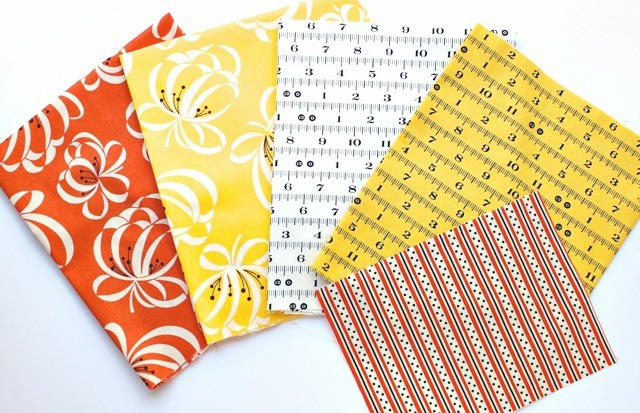 The measurements were correct (cut with just a little more than ordered), the fabric was packaged nicely and she threw in square of Dotted Stripe in orange from Katie Jump Rope. I love it when they throw in a scrap or two in your order. I think only quilters get excited about scraps of fabric! This is a non-paid praise of her shop, I was just really impressed. I hope I have inspired you to do a little fabric shopping where ever you may find it. I can mark these off my list (for now), but I think I have a few I need to add to it. It's a vicious cycle, but it's fabric and I love it. Ooh thank you for the tip! You just know I had to go and get some of that yellow ribbon flower fabric!! And while I was there, I found some others that I just had to have. You are so right about the quick shipping - it is already on its way to me! Thanks for being my enabler!! In case you are interested, I saw that the Etsy story Quilt Sandwich has the same ribbon flower fabric in red at an even lower cost. Thought you might like to know.